Jobless, loveless and living over a garage, this church girl did the only thing she knew how to do: get God to a therapist. Casting herself as the neglected spouse, Susan recounts her crazy ride on the Jesus bus and asks, can they stay together? 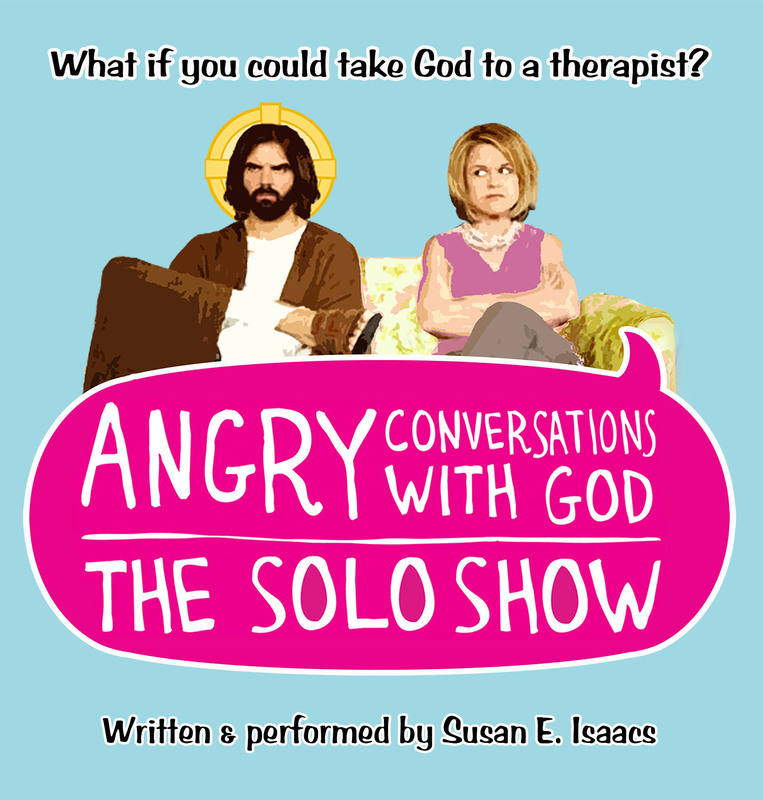 2012: Angry Conversations With God: The Solo Show had a sold-out and extended run at the Two Roads Theater in Los Angeles. 2016: Convos had a week run at Fire Exit Theatre in Calgary Alberta. UPDATE: Fall 2019: Convos has been invited to United Solo’s “Best of Ten Years” festival. Don’t miss this chance to see it. Why Wait for the Live Show? 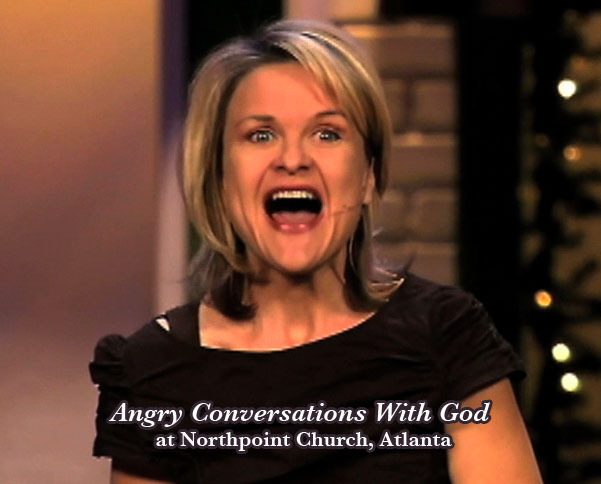 Angry Conversations With God is now an Audio Book! Listen to the voices of Susan, Tony Hale, Scott Brick and Dale Inghram bring the story to full scratch-n-sniff life! Want Angry Convos In Your Town? Susan has toured the show around the country, and can bring it to your college, church, conference, local theater or dive bar. Fill in the form below. Thank you!